JAKARTA, Sept. 1 (Yonhap) -- South Korea captured its third straight Asian Games baseball gold medal on Saturday. South Korea defeated Japan 3-0 in the final at GBK Baseball Field in Jakarta to complete the first "three-peat" since baseball became a medal sport in 1994. South Korea has claimed five of seven baseball titles in Asian Games history. 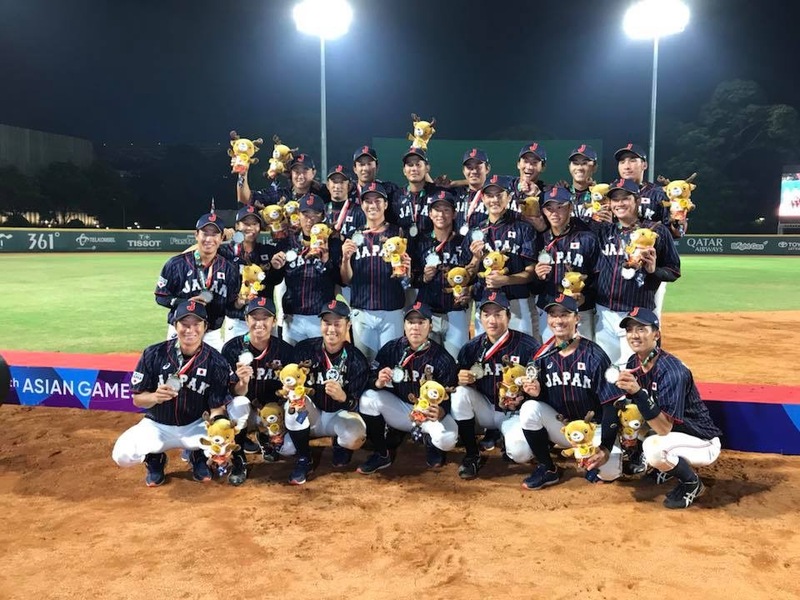 Starter Yang Hyeon-jong held Japan to one hit over six innings, and cleanup Park Byung-ho homered for the fourth straight game for the 2018 Asiad champion. Managed by former star pitcher Sun Dong-yol, South Korea was the only fully professional team in the tournament. Chinese Taipei, the silver medalist at each of the past two Asian Games, had mostly amateur players. Japan, which improved on bronze medals from the last two events, built an entire team with amateurs. South Korea lost its first preliminary game to Chinese Taipei 2-1 but then won its next five games to finish on top. South Korea struck first with two runs in the bottom of the first inning. Japanese starter Ryoga Tomiyama walked the first two batters he faced, and a single by Kim Jae-hwan loaded the bases. After Park was retired on a shallow fly to center, An Chi-hong hit a two-run single through the hole on the left. Tomiyama only faced one more batter before handing the reins to Makoto Hori, who settled down to retire six consecutive South Koreans. And Park ended that string with a bang with two outs in bottom third, as he blasted a solo shot over the center field wall. It was Park's fourth homer in as many games, and it tied him for the tournament lead with teammate Hwang Jae-gyun. The rest of the game belonged to Yang, who only allowed a first-inning bloop single by Shoji Kitamura. After that first inning, Japan sent only two balls out of the infield. Yang also had one strikeout in each of his six innings while making 89 pitches. Reliever Jang Pill-joon tossed two perfect innings, and closer Jung Woo-ram, who missed earlier action with stomach flu, retired the side in order in the ninth for the save. Japan used six pitchers in the loss. A total of ten teams, the most ever, competed from August 21 to September 1 at two competition venues in Jakarta: GBK Baseball Field and Rawamangun Baseball Field. The baseball teams of Laos, Sri Lanka and hosts Indonesia made their Asian Games baseball debut.